Turn over many a nutrition bar or box of veggie burgers, and you’ll often find soy protein isolate (SPI) featured prominently on the ingredient list. While there’s disagreement among nutritionists over whether soy is part of a healthy diet (some are concerned about its estrogenic properties but others like it as a protein source for those who don’t eat meat), most agree that SPI, its super-processed offspring, should be avoided. 1. A lot of its nutrients have left the building. “Soybeans are a great quality protein because their amino acid content is similar to that in meat, and they’re a good source of fiber, minerals, and complex carbs,” says Middleberg. But to create SPI, soybeans are chemically engineered to “isolate” their protein, and this process strips out all of the other nutrients the original bean contained. 2. It contains unhealthy additives. Foodtrainers founder Lauren Slatyon, MS, RD, says that the chemical process used to isolate soy protein often leaves behind substances you don’t necessarily want to be eating, like aluminum and hexane. “Think of bathing in toxic bath oil,” Slayton says. “Even once you dry yourself off, some residue remains. Want to eat that residue?” The spray drying method used for soy can also form nitrites, compounds that can form carcinogens in the body, she explains. 3. It’s probably genetically modified. According to the USDA, over 90 percent of the soybeans grown in the U.S. are genetically modified, so most SPI comes from altered beans. “This means soy protein isolate is chemically modified, processed, and filled with pesticides,” says Middleberg. 4. It may upset your stomach. Many people have allergies or intolerances that make it hard to digest soy. But even if you’re not one of them, soy protein isolate may make your stomach rumble, says Slayton. This is because SPI has a higher concentration of trypsin inhibitors, chemicals that reduce available trypsin—an enzyme that helps digest protein—in the body. 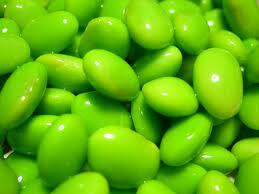 Slayton also suggests sticking to fermented soy sources, like miso, tempeh, and natto. “Fermentation increases the digestibility of soy, adds good bacteria, and reduces the plant estrogen content in soy foods,” she explains. And in the end, both nutritionists agree: Like most things, soy is best enjoyed in moderation—and sticking to whole (rather than processed) foods is always a good plan. More than 96% of restaurant entrees exceed USDA limits for calories, sodium, fat and saturated fat in a single meal, according to a study of the nutritional contact of more than 30,000 menu items from 245 restaurant brands by Rand Corp. Appetizers, which often shared, average more calories than entrees (813 versus 674). 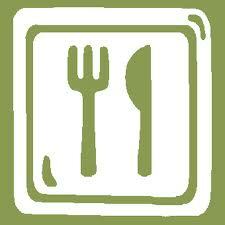 Entrees at family-style restaurants have more calories, fat and sodium than those at fast-food restaurants. From magazine headlines to wise words from our mother, we’re constantly bombarded with “tips” to keep our health in check. But before drowning in diet soda and daily showers, reassess some of these behaviors that may be doing more harm than help. 3. Protein bars. 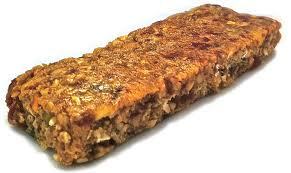 Protein bars don’t fall far from the granola-bar-tree. They are often ultra-high in calories and sugar — not exactly what the body needs after a hard workout. Choose a healthier high-protein snack instead. 5. Light beer. News flash: Light-beer doesn’t necessarily mean less calories. Instead, many simply have a lower alcohol content. And for those interested in getting a buzz on, the calorie difference may be negated by the need to drink more. Sip a healthier beer instead, and split up the six-pack between friends. 6. “Low-fat” foods. Think twice before skipping the fat-filled salmon. While cutting some fat could help weight loss, we may miss out on some big benefits from healthy omega-3 fats, such as boosting brainpower and lowering the risk of heart disease. 7. Skipping meals. Skipping meals probably won’t save us any calories in the long haul. Forgoing a meal may result in overeating later on, so choose a healthier lunchtime treat instead. 8. Bottled water. Some bottled water may be filled with bacteria or chemicals when bottled in plastic containers So grab a water filter and purify tap water instead. 9. Passing on dessert. Don’t deny your favorite dessert. If really craving that double chocolate brownie, enjoy a few generous bites instead of going for seconds at the dinner buffet line — which could rack up even more calories. 10. Diet soda. Diet Dr. Pepper may not be our friend. Scientists suggest too much of these zero-cal beverages could do as much damage as the sugary stuff, potentially leading to weight gain and an uncontrollable sweet tooth The solution? Skip the soda completely and opt for a healthier choice. 11. Juice diets. Many of us could use a few more fruits and veggies, but we don’t need to have spinach-apple juice for breakfast, lunch, and dinner. Juice diets may leave out important nutrients and enough calories to stay strong throughout the day. 15. Brushing right after every meal. Just ‘cause dessert was devoured doesn’t mean we should grab the toothbrush and paste. Wait at least 30 minutes after a meal so saliva can neutralize the acid in the mouth and strengthen the enamel on those chompers. 17. Daily showers. Stop the scrubbing! Hopping in the shower too often may irritate and dry out skin. If you really need to freshen up, spray on some perfume or cologne and save the shower ‘till tomorrow. 18. Catching up on sleep. We’re sorry to break it to you, but it’s pretty tricky to catch up on sleep. So rather than skimping on sleep in order to cash them in later, aim for a solid seven to nine hours a night. 19. Sitting up straight. Yeah, we’re surprised too. Sitting up straight may be bad for the back, so skip the seat and try a standing desk at the office. 20. Cleaning with disinfecting products. There’s some evidence that certain chemicals in disinfecting products could lead to asthma. Simply use a regular cleaning product or detergent without the chemicals instead. 21. Only doing cardio. Hitting the roads is great and all, but don’t retire the weights for the running shoes. Make sure to strength train to burn fat, lean out, and look badass in the process. 22. Doing a million crunches. The secret to six-pack abs probably isn’t crunch after crunch. To flatten out and tone up the core, try running some intervals, lifting a few weights, and cleaning up that diet instead. 23. Breathing deeply through the chest. Whether running the final lap or heading down the basketball court, avoid deep breathing with the chest. For a most effective breath to help any athlete’s performance, remember to use the diaphragm! 24. Static stretching pre workout. When warming up, static stretching (aka holding positions for a certain length of time) won’t do much in way of preventing soreness. Skip the still motions and do dynamic stretches, like lunges and high knees, instead. 26. Hitting the gym daily. Don’t get us wrong, exercise is important! But spending too much time at the gym leaves little time for muscles — and the mind — to recover. Make sure to get at least one or two days of rest, and dominate those dumbbells the rest of the week. Get ready for coffee cake’s younger and cuter (pre-portioned) cousin. Preheat an oven to 400 degrees, and spray a muffin pan with cooking spray. Mix 1 cup of strong, cold coffee, ½ cup sugar (or another sweetener), 2 eggs, and a cup of plain yogurt. Add 2 ½ cups of whole-wheat flour (or instant oats! ), and two teaspoons of baking powder until just combined. Bake for 15 to 20 minutes. Mix up a cup of plain yogurt with 2 tablespoons of unsweetened cocoa powder, and a tablespoon of instant coffee, and whip it up ‘til the coffee dissolves. Sweeten it to taste, and add some vanilla extract for an extra zing. Top the mock pudding with some nuts or berries! The dark acidic tones of coffee pair well with dark meats like duck, beef, and lamb. Rub freshly ground coffee beans (the darker the roast, the more potent the coffee flavor), with a touch of coarse pepper on to a meat of choice. Pro Tip: Throw it all in a plastic bag and shake it around for a mess-free even coating. Coffee’s not just for sweet stuff. Soak some steak in coffee for an hour or more before it hits the grill for tender, smoky meat without the not-so-glamorous nutrition stats other marinades have. This tasty glaze is an easy and delicious addition to any salad (and especially tomato and mozzarella based ones). Combine 1 cup of coffee, 1/3 cup of balsamic vinegar, a pinch of salt, and the zest of a lemon to a small saucepan and simmer over medium-low heat until the mixture thickens to coat the back of a spoon. Drizzle away! Mix up a milk of choice, a teaspoon of instant coffee, and a touch of agave nectar (or preferred sweetener) in w bowl. Pour the mixture into popsicle molds (empty cups will do, too) and freeze. After freezing for an hour, insert popsicle sticks, and continue to freeze until solid (about another hour or two). Prepare one serving of plain ol’ oatmeal (or a whole pot if you’re cooking for the week). Mash up half a banana with 1 teaspoon of instant coffee, a splash of vanilla extract, and ¼ cup milk. Add the oats (or a hefty scoop from your big pot) and stir to combine. Heat for 1-2 minutes, or eat it chilled when the weather’s hot for a high fiber breakfast that’s been shown to lower blood cholesterol levels, aid in digestion, and improve metabolism. Toss a handful of favorite nuts in a food processor and pulse until it reaches a fine sand-like texture. Add a few chopped dates, 2-3 tablespoons ground coffee beans or instant coffee, and a pinch of sea salt and pulse until the mixture begins to come together. Slowly add a few drops of water until the mixtures becomes a little doughy. Spice it up with some mix-ins: shredded coconut, cocoa powder (packed with antioxidants), or cacao nibs are great options. Scrape the mixture onto a pan lined with parchment paper and press it flat. Chill for 1-2 hours before serving. We mean the espresso kind, not lima. Grab a good dark-roast bean, and a good quality chocolate (milk, dark, or a mixture). Chop up the chocolate, and microwave on low, stirring every 10 seconds until completely melted. (Tedious, but worth it!) Pour the beans into the chocolate and remove one-by-one with a fork, drop the dipped beans onto a wax paper lined cookie sheet. Keep ‘em separated; otherwise you’ll have coffee bean clusters! Keep that iced coffee strong as steel by using coffee ice cubes to keep it cool. Simply fill an ice cube tray with cooled coffee, and freeze. Pop out the frozen cubes and let them melt into your coffee, and say goodbye to watered down coffee. Granita, Granada. We know you might not believe us, but this one only has two ingredients. Brew up some coffee and add agave nectar to taste. Taste it before freezing (you’ll want it a little sweeter and stronger than normal drinking coffee). Pour the coffee into a shallow baking pan, and pop it in the freezer. Pro tip: It’s easier when the liquid is only about an inch deep. 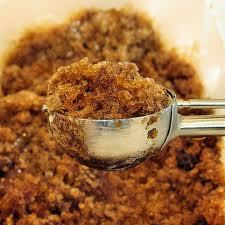 Every 30 minutes, use a fork to scrape the icy coffee into crystals, until all of the coffee is crystallized. Ice cream in 4 ingredients. ‘Nuff said. But just in case, here are the instructions: In a blender or food processor, combine 2-4 ripe frozen bananas, 2-4 teaspoons instant coffee (depending on how strong you like it), ½ cup chopped dark chocolate (optional), and 1/8 cup almond milk. Pulse until the mixture gets going, and then blend until smooth. (Note: You may need closer to ¼ cup milk if the blender is having a hard time pulsing up the ingredients.) Pour into a Tupperware container (about 1 quart in size) and freeze to harden up the ice cream before scooping! Combine ½ cup ketchup (we recommend choosing a low-sugar, low-sodium brand), ½ cup brewed coffee, 1 tablespoon of brown sugar, and ½ a teaspoon each of onion powder, garlic powder, and chili powder in a small saucepan. Bring to a boil. Reduce heat and simmer for 10 minutes until it thickens up. Stir in ½ teaspoon each of black pepper, balsamic vinegar, and low sodium soy sauce. This list simply would not be complete without a cocktail. For a late night pick me up, combine ¼ cup chilled espresso, 2 tablespoons of rum (white or spiced), and 1 tablespoon of sweetened condensed milk (it’s just a little). Shake well and strain into an ice-filled glass. Mix together flaxseeds, baking powder, onion powder, paprika, and salt in a small bowl. Stir in 1 tbsp of coconut oil (melted). Beat in egg and water until blended. Grease microwave-safe glass or plastic pie pan with coconut oil. Pour in batter and spread evenly over the bottom. Microwave on high for 2-5 minutes until cooked. Let cool 5 minutes. I don’t suffer from celiac disease or gluten intolerance, but the first thing I did when I got the major players behind Widmer Bros. Brewing Co.’s Omission gluten-free beers on the phone was thank them. At least once a week, someone asks me to recommend a gluten-free beer, and I had nothing worth suggesting. Until now. 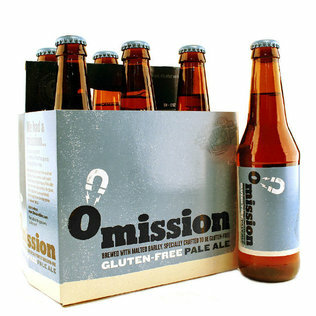 Omission is the first gluten-free beer I’ve sampled that tastes like real beer. That’s because it is beer, brewed with malted barley, yeast, hops and water. 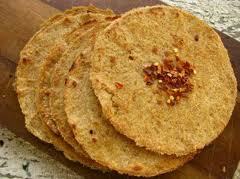 Gluten is a protein found in many grains. Omission uses a proprietary process that begins with low-protein barley and employs a brewing enzyme that further breaks down the protein, reducing it to a point where the beer is considered gluten-free. Most gluten-free beers use sorghum, rice, fruit, honey or tapioca in place of barley. Malted barley is the backbone of beer’s color and flavor, and its absence is noticeable. Few people know more about gluten-free beer than Terry Michaelson and Joe Casey. Michaelson, the chief executive of Oregon’s Craft Brew Alliance, was diagnosed with celiac disease 12 years ago. Casey, brewmaster at Widmer Bros., began formulating gluten-free beer recipes after his wife was diagnosed with the disease in 2006. “I wanted to make sure if we did something, we delivered on the flavor that other beer consumers were experiencing and enjoying,” Michaelson says. Omission, which sells for about $10 a six-pack and is available at Total Wine & More, will stick with pale ale and lager for now, but Michaelson says the line could expand.